Funding Agency: REC Transmission Projects Company Limited, New Delhi. assigned work to is monitored quarterly by PI’s. Secondary (10) with at least 60% marks and having 2 year regular I.T.I. Age Limit : Not above 27 years. Age relaxation as per norms/orders of GoI. 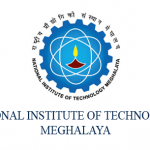  Interested candidates can download the application form from NITM website (http://nitmeghalaya.in). email no later than 15/05/2019.  No TA/DA will be paid for attending the written test/interview.  Original documents of age proof/qualification degrees/mark sheets must be presented at the time of interview. A set of self attested photocopy of all testimonials must be submitted at the time of interview.  Shortlisted candidates for interview will be displayed on the institute website. other communication in this regard will be entertained.  The candidate(s) should be able to join the post at the earliest if selected.